Saturday March 11 the presentation given a Fa’ la Cosa Giusta (the largest Italian fair on sustainable lifestyles) about participatory mapping closed the Winter tour by pibinko.org & Attivarti.org: fifteen events between mid-December and mid-March, with presentation in four Italian regions, and scouting missions in four more (including Côte d’Azur, Corsica, and Sardinia). Eight out of the fifteeen events also had some form of musical score, spanning from real concerts, to jam sessions, to improvised poetry. After the opening, represented by the Farma Valley Winter Fest, we logged some 5000 km, combining cars (due to the payload or the fact of having to reach off-the-beaten path locations), train, ferry, and feet. The tour was split in three segments, always departing from Torniella, our home base in Southern Tuscany, and was spiced up by interesting features, like extreme weather conditions blocking ferries for a week in Corsica, landslides in Sardinia, brasilian visitors looking for Italian ancestors, books on the bronze age read by shepherds, teleporting on Mount Amiata and involuntary re-enactments of parts of the “Vicky, Cristina, Barcelona” movie. Most of these stories have been documented along the way by pibinko in his News section (mostly in Italian on this occasion, so if you go to the News section and you see blog posts missing, try to switch to the Italian version), and many anecdotes have been embedded in the actual presentations during the tour. This tour de force was partly engineered: the 2006-2007 Winter was the period when pibinko started proposing his projects intertwining culture, environment, and open innovations, and engaging teams to collaborate. Ten years after this phase, we wanted to share in a kind of interdisciplinary kaleidoscope the developments deriving from those early days. This was not done in a nostalgic mood, but to explain the collaborations, the services, the contents and the locations that we are proposing and which we would like to further develop in the future. Among others, the BuioMetria Partecipativa Project on participatory night sky quality monitoring keeps finding curious and bewildered expressions of people learning about the at-times-tainted relationship between artificial light at night (lamp posts, billboards, and other man-made sources) and the natural light at night (reflected by the Moon and emitted by the stars). The Farma Valley community map, first announced during the Farma Valley Winter Fest on Dec. 17-19, 2016, also raised great interest, both in the Valley where it originated, where it was presented during the Fifth International Open Data Day (march 4, 2017), and in the presentation given at Fa’ la Cosa Giusta. As alway, the soundtrack was a key component of the proposed initiatives. 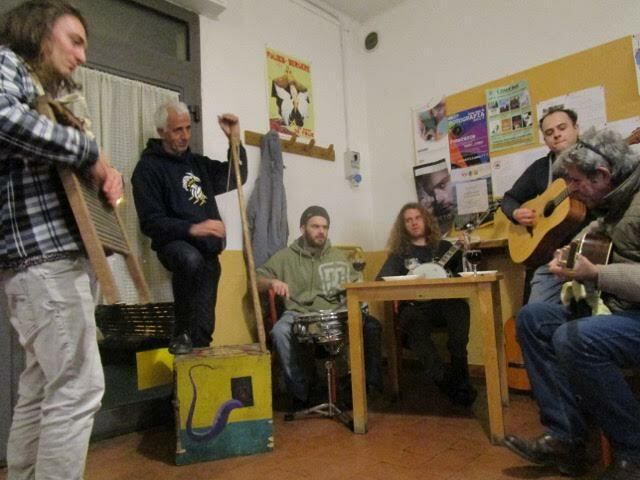 In this respect, the support by Etruschi from Lakota, Pietro Crivelli, Wolfgang Scheibe, Fernando Tizzi and the Band of Torniella was incredible. Last but not least, in several of the events we had a professional photo coverage (day and night, given his feel for nocturnal photography) with Federico Giussani . 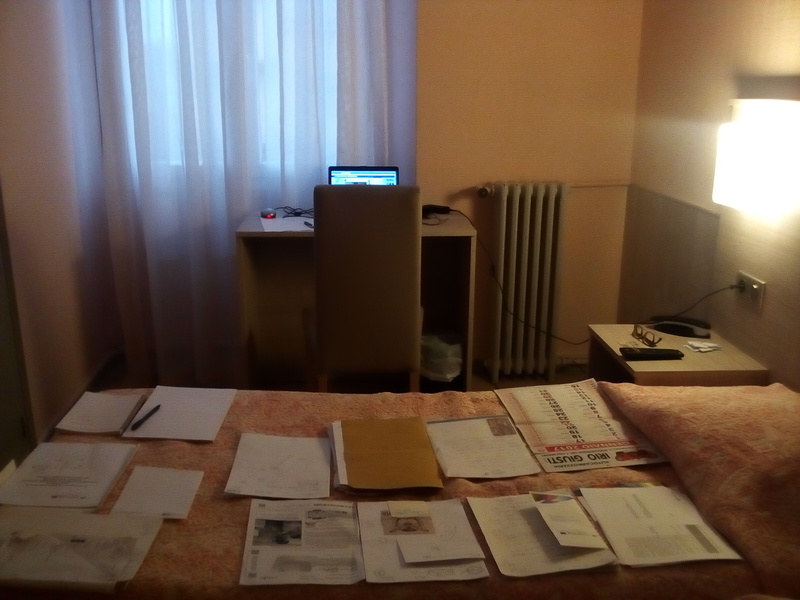 What felt different, compared to past editions of this type of ramble (started in 2007), was the sense of relationship between locations: during the Winter we made a substantial effort to connect sites which are not traditionally related, where it not for local soccer championships (Farma Valley, Cecina Valley and Scansano hills). In response, we received not just expressions of interest, but also the first collaborations by local actors. Operating in network mode is no news for pibinko.org and Attivarti.org (it’s been like this for almost 25 years), but the feedback received by the Winter Tour in some areas was definitely something interesting and to be further developed. The March 11 presentation closed the pibinko.org/Attivarti.org Winter tour, and now we’ll take a couple of weeks’ break from the outreach side of things. In parallel, over the past months we have been working on our Spring-Summer calendar, which we are planning to release before Easter (April 16, this year). To make sure you won’t be missing the upcoming action, we recommend you to check out the Per essere sicuri di non perdere le segnalazioni potete seguire il pibinko.org calendar (and the Attivarti.org one to also learn about events by our partner organizations). Better still, you may subscribe to our mailing list, in order to receive our announcements by e-mail. Then, if you really want to not miss at least one of our events: why not organize one together, in your home town? Maybe Southern Tuscany, or the other locations in the current version of the calendar are not easily in your reach, but we are willing to travel and can adapt our schedule to many variations (with adequate lead time). Contact us if you are interested. 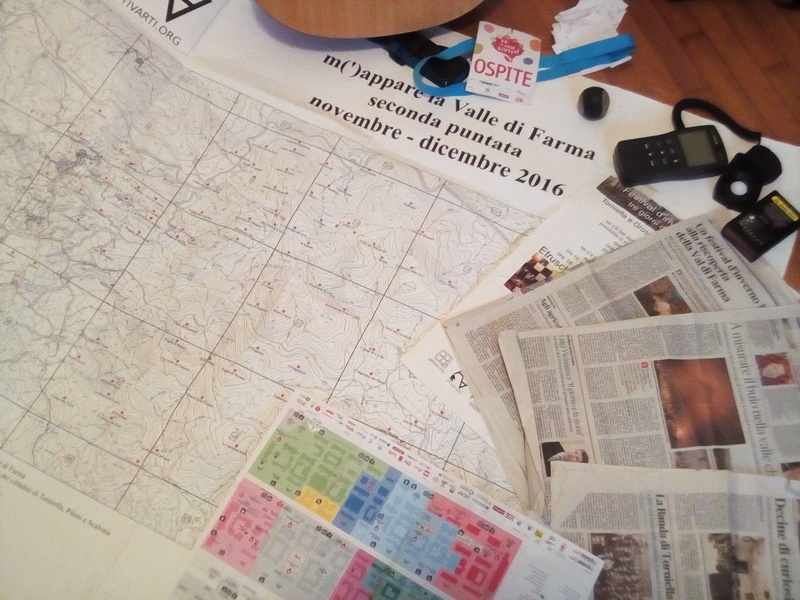 Here is a patchwork of accessories used during my the three days at Fa’ la Cosa Giusta: press clippings on the Farma Valley Winter Fest, a map of the fair, a sky quality meter, a luxmeter, the palla a 21 ball, the guest pass, a guitar, the Farma Valley Community map (beta Version). The name of the Valley was pronounced at least four times per hour for three days, sometimes becoming a kind of mantra (Maval Leyfar / Maval Leyfar…). It still remains a lesser known location, like many others around the world, but several people were enticed by our stories and they might come to discover it now that the Winter is fading away. 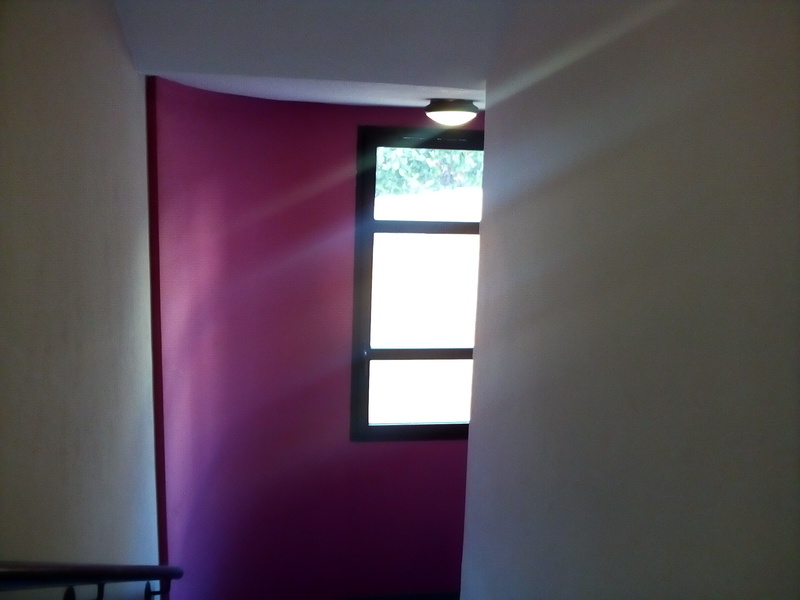 If you like the projects you see through the pibinko.org and Attivarti.org sites, you can support us. Please contact info@pibinko.org for more information on how to do this. This list is not exhaustive (if you’re not here but should be, please write), but covers the core of the team which supported in different ways the pibinko.org + Attivarti.org Winter tour. Andrea Bartalucci – we need him!